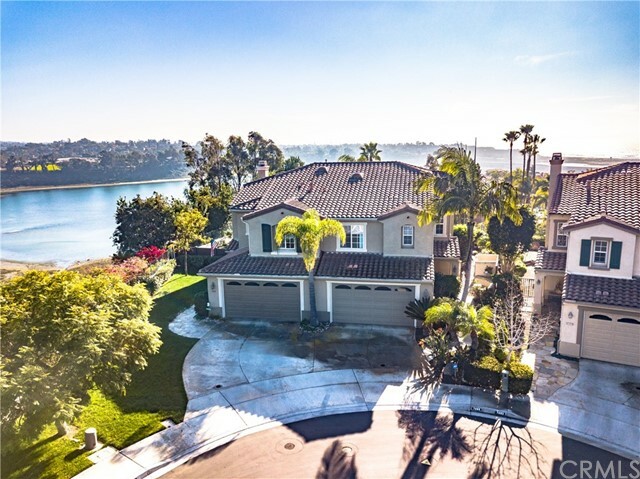 All Carlsbad homes currently listed for sale around Aviara are shown below. You can change the search criteria at any time by pressing the 'Change Search' button below. If you have any questions or you would like more information about any Carlsbad homes for sale or other Carlsbad real estate, please contact me and I'd be pleased to assist you. "*Exquisite luxury Bay Collection* Filled with tasteful upgrades, a solar home & shows like a model. Unobstructed Ocean views from this gorgeous home. A full bed & bath down, 3 fireplaces, wood flooring, granite, travertine, custom cabinetry, stainless, crown molding, French doors, designer paint and window treatments, view balcony. Outside - pool, spa, firepit, fireplace, water feature & more. Great schools! Close to beach, shopping, restaurants and much more! Read supplement for more details!" "Brand new homes 2.5 miles from the beach. This home has partial ocean views and a 1 bedroom detached CASITA in the back yard. Stacked glass doors to the fully equipped kitchen loaded with quartz, island & eat-in. Pre-wired for solar, elec car conduit, smart thermostats plus MANY additional upgrades. Still time to choose flooring. Only 2 homes remain and selling quickly." "BRAND NEW HOME with sweeping ocean views minutes from beach. Stacked glass doors to backyard, fully equipped kitchen loaded with quartz, island & eat-in. Pre-wired for solar, electric car conduit, smart thermostats, 2 A/Cs up and down zoned, kitchen and laundry closet. nine foot celings up and down, ocean view from master bedroom, master bath and master balcony which seats 4. Aviara Oaks Elementary and Middle Schools, upstairs laundry room, many happy years in this fine home." "LOCATION LOCATION, LOCATION, Coastal Living at it's Finest! HUGE LOT on Cul De Sac Lot,Solar Panels Owned, Solar & Gas SALT WATER HEATED POOL & SPA. Interior:Upgraded VIKING SS Stove Cook Top, GE Cafe SS DOUBLE OVENS,Fridge, Microwave,GE SS Dishwasher & SS Sink,Large Granite Island w/ Sink, 18x18 Travertine Walk Areas including all Bath & Laundry Rooms.Upgraded Carpet, HUGE MASTER BDRM,Bath w/Granite Dual Sinks, Separate Tub & Shower.Close to Beach Access, Hiking Trails, Camping,Shopping, &5 A M"
"Welcome home to this must see, better than new, executive Aviara home, exhibiting pride of ownership throughout. Impeccably maintained and tastefully upgraded in neutral tones. Light and bright open floor plan, featuring travertine and hardwood floors throughout, plantation shutters, and crown molding. Enjoy living in the beautiful Serenata community just minutes away from shopping, dining, hiking trails, beaches, golf courses, parks, and award winning Carlsbad schools." "Price reduced! This magnificent home in The Bay Collection is located at end of a Cul-De-Sac with long driveway fit for 6 cars and offers a grand foyer entry with 20 ft ceiling at living room, one bedroom & full bath perfect for in law or guest suite (or convert to tandem garage for 2nd master suite?) . Downstairs has tile floors at entry which adjoins to kitchen and lovely nook. Renowned Carlsbad schools including Pacific Rim Elementary, Aviara Oaks Middle and Carlsbad High. The family room fe"
"Master suite on first floor. Close to Beaches, I-5, parks, trails, shops and restaurants, Turnkey, impeccable coastal home highly upgraded - kitchen & baths with stone flooring & granite, built in cabinetry, dual pane windows, solid wood interior doors, re stuccoed exterior, AC, hand carved double entry doors, closet organizers, pull out kitchen drawers, built in appliances. Indoor laundry & utility rooms. Exceptional drought tolerant landscape features stone tiles, deck, raised planters, BBQ ho"
"Welcome to this gorgeous ocean view property in the amazing Encantata neighborhood. This stunning home features a grand front patio, formal living room w/ 2 story ceiling, formal dining room, downstairs office and full bath, massive gourmet kitchen open to the family room, master suite complete with ocean view balcony, retreat, coved ceiling, dual vanities, walk-in closet, soaking tub, and walk-in shower, backyard w/ elevated dining area, grass lawn, outdoor kitchen and fireplace." "*Video & 3D tour available by clicking film icon under google map* This Beautiful Condominium West of I-5, with Multiple Spectacular views of the Pacific Ocean and the Batiquitos Lagoon. If you love to golf the Aviara Golf Club is within driving distance. In the Safe, Clean, Gated Community of Santalina. Short distance to *Carlsbad State Beach* Enjoy extraordinary ocean view from your Private Balcony, Private backyard, or Master Suite. The Master suite has a separate area which can be used as of"
"Beautiful Views from in ground Jacuzzi of Golf Course Woods & Nature Trails. White Shutters Crown Molding Granite Counters Stainless Steel Appliances. New Paint inside & Out. No Maintenance Yard. New Berber Carpet & Water Heater. Seller Motivated and will consider OWC. Epoxy floors and built-ins in the garage. Furniture Negotiable." "Huge Price Reduction!! Beautiful executive style home featuring large entry level bedroom & full bath. Located in Aviara area of South Carlsbad walking distance to Aviara Elem & Middle Schools. Built for entertaining home boasts 3 fireplaces, formal dining & living room & large bonus room with private balcony. Backyard is an entertainer's dream with beach entry saltwater pool w/ rock waterfalls, slide & fountain. Easy access to 5 FWY, shopping, restaurants, parks, hiking trails & 3 mi to beach." "Rare single story with attainable views! Large lot westerly facing, great on-shore breezes with whole house fan. Windows have been upgraded with beautiful tile floor throughout. Upgraded kitchen. Near end of Dead End of Daisy Avenue at top of the hill." "Quiet cul-de-sac home in Aviara Carlsbad with stunning ocean and sunset views! This beautifully upgraded home offers an open floor plan, plenty of natural light, new hard wood flooring upstairs and a gourmet kitchen with a large center island. Outside awaits your custom designed living spaces with seating areas, in-ground fire rings, landscaped lighting and an over-sized private below ground spool with upgraded equipment. This home is on a west facing lot, so you can gaze into the blue ocean dai"
"Enjoy westerly views and a peaceful setting in the heart of one of Carlsbad's most exclusive neighborhoods. Delightful ocean breezes kiss this Aviara gem perched high atop a canyon and set at the end of a cul-de-sac. Interior features include new paint & flooring throughout, new recessed lighting, new custom closets, expansive master suite, high ceilings and much more. Outside, two ample yards adorn the home, each with mature landscaping and a brand new concrete patio ready for entertaining. A+ "
"Cul-de-sac location in a classic Carlsbad neighborhood. This 1946 SF, one level home has an open versatile floor plan. Double-pane vinyl windows, plantation shutters and brand new carpet throughout. The front entry has a tropical feel & leads to beveled, etched-glass entry doors. Home has a large kitchen, lots of cabinetry and counter space that opens to an equally large family room. Plus...formal living/dining room with a cozy fireplace. The master suite opens to lushly landscaped yard an"
"Private Clue-De-Sac, rarely available with the view in Tarmonto, Aviara community. This location is one of the most private and quiet with 180 DEGREE VIEWS ALL THE WAY TO BATIQUITOS LAGOON, VIEWS FROM FROM EVERY ROOM. Just minutes from award winning school. movies, fine dining, beaches not to mention the Aviara Resort, Golf Course, the popular Lagoon Nature Trail and easy access to I-5 Upgrade kitchen with cortex granite countertop, other upgraded flooring bamboo, title, carpet and lighting (s"